New revised and expanded 2015 edition. The Bible says that a river flowed through the Garden of Eden and then split into four branches. There is only one river in the Near East that does exactly this, and that is the long oasis-garden of the Nile valley and its division into the (originally) four branches of the Nile Delta. 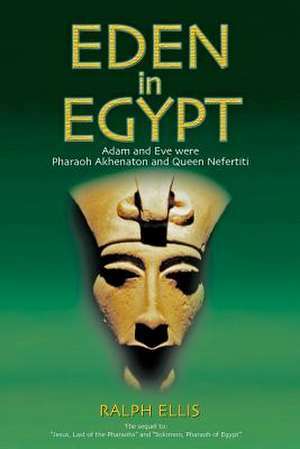 This observation takes Ralph into the depths of the Genesis account, and it would seem that Adam and Eve were actually Akhenaton and Nefertiti; and so the Genesis story is actually a distillation of Akhenaton's Hymn to the Aten. Thus the Garden of Eden was originally the Garden of Aten (Akhenaton's god) at Amarna in Middle Egypt. The book also demonstrates that Hebrew is a direct descendant of the ancient Egyptian language, and that the Bible was written in Egyptian.